Hello lovely readers! As I’m sure you’re aware if you regularly browse studentstylexo, Megan is away this week for her birthday and asked for some volunteers to write a few guest posts. I’m always eager to help out fellow bloggers, and I love surfing Megan’s site, so I didn’t hesitate to ask if I could be involved! If you fancy a read of my blog, I’m over at http://simplyredhead.com. I write about anything that takes my fancy, but focus on beauty, fashion and theatre reviews, with the occasional recipe post! Why theatre, you ask? Well, I’m studying drama at uni so I love going to see plays. Although I mainly read beauty/fashion blogs (and have a slight makeup/clothes addiction), I really wanted to share my love for theatre with readers when I started my own blog! So I mix it up and try to write about a variety of things that interest me. Anyway, what I want to chat about with you all today is skincare. I’m going to introduce a somewhat controversial opinion: I don't rate skincare that highly. Oh god, is that the sound of all of Megan’s readers clicking the little red x at the top of the screen? Just hear me out. I am by no means an expert (i.e. I don't really know what I'm talking about), but I do know what works for my skin, and using a whole bunch of different products on it just… doesn’t. 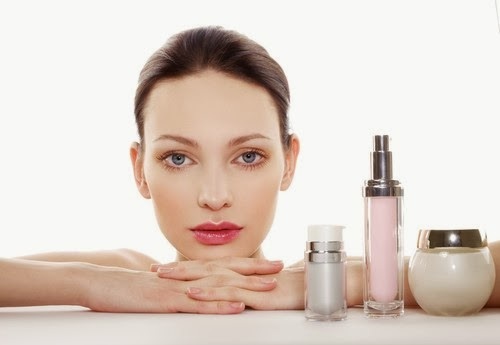 I must admit I'm also a bit of a sceptic, and I tend to think that companies are telling us all the buzzwords we want to hear when in actuality there isn’t a massive difference between many of the skincare products available. Here's my motto when it comes to my skin: if it ain't broke, don't fix it. For years, my skin was perfectly fine with absolutely no skincare routine at all. My issue was that if I put too many products on my skin the result was a major breakout, so I stayed clear from almost all skincare. It’s only recently that I’ve noticed I’m starting to really suffer from dryness and sensitivity (I think it has a lot to do with the weather), so I popped into the local drugstore to buy some products targeted at dry skin. I came skipping back with my first serum/oil in the form of The Body Shop's creatively named Serum-in-Oil, and some other moisturising products for my face. Don't get me wrong, they have really done their job and I'm thrilled with them. However, I won't be rushing out in a hurry to buy a massive array of face creams, waters, elixirs and gels. I just don't think they're necessary for my skin, and I don't like the thought of having products on it 24/7. I like giving my face some breathing space. In the summer, I rarely wear any makeup, especially if I'm on holiday. I tend to get my eyelashes dyed, as it's not too pricey and lasts for a while, which means I don't need to bother with mascara, and that means I’m good to go and jump in the pool any time of day (which, let’s face it, is all you need to worry about on holiday). Another reason I wear less makeup in a particularly hot climate is that I have to put at least SPF30 on my face (if you didn't know, I'm a redhead), so there is really no point in slapping on makeup as it will quickly get ruined by the heavy, greasy texture that is most high-SPF sun creams. However, I must say that although I don’t rely on skincare that much, the thing I always do without fail is remove my makeup. Some of my friends often sleep in their makeup after a night out (and fair play to them because their skin is flawless), but I can't lie in bed and go to sleep if I know I've still got my slap on. It just makes me feel icky – anyone else get that? So, my skincare essentials are a good cleanser and a couple of moisturising products (at the moment I’m loving my Korres Wild Rose 24-Hour Moisturizing & Brightening Cream and the afore-mentioned Serum-In-Oil). Otherwise, I go by what my skin is telling me it needs. Don't get me wrong; I'm not trying to tell everyone they should abolish their skincare routines! Do what works for your skin. But if you think maybe it would still look fresh without using every product, then why not try missing one out for an evening and see what happens? You never know, you might end up loving the result! Loved the post so popping over to follow you too!